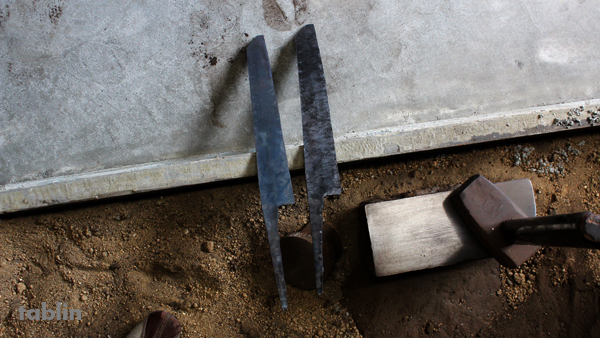 I was able to videotape the part of the knife-making process that I wasn’t able to capture on video before. The iron overlaid at the edge of a long piece of soft iron is steel (aonikou). 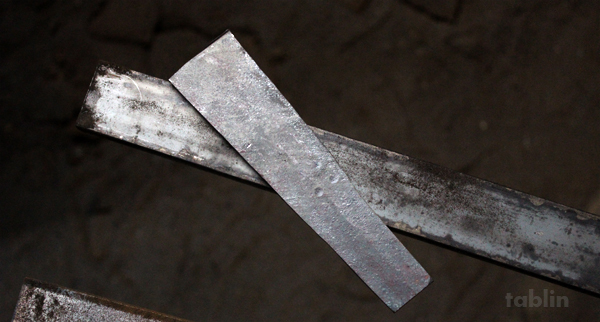 Steel that becomes the blade is 30%, and the soft iron that supports the blade is 70%. The whole blade including the part that goes in the handle is hammered at room temperature. 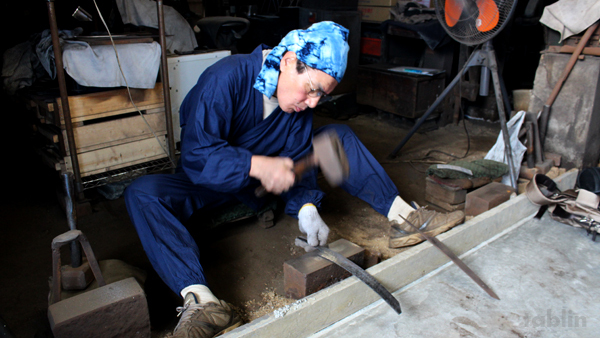 Through this process, the particles within the metal become finer, giving the knife strength. It is an important process before tempering. Please take a look at a previous article about forging and welding.